For the last 18 months, lawyer Jayshree Wad has been fighting surrogacy in the Supreme Court. She petitioned the Supreme Court stating that surrogacy had become a business in India, which then ordered the central government to frame rules governing surrogacy. On Wednesday, External Affairs Minister Sushma Swaraj announced that the Union Cabinet had approved the draft of the Surrogacy Regulation Bill 2016 meant to regulate the process. The bill will be tabled before Parliament in the forthcoming winter session. Wad, 77, says she is happy the government has taken concrete steps to regulate the procedure. “Surrogacy is exploiting a woman’s body,” she told Syed Firdaus Ashraf/Rediff.com in an interview. Why did you file a case against surrogacy in the Supreme Court? We have fundamental rights for every citizen in India. In our petition we quoted Article 14 to Article 23 of our Constitution stating that you cannot exploit anybody. There is personal liberty. And when I read about surrogacy in October 2014, I realised that surrogate mothers were being exploited for money. Therefore I felt something has to be done about this. In the absence of any law, what is to be done? Because I am a practising lawyer in the Supreme Court for the last four years I filed a petition stating that the fundamental right of such mothers was being infringed upon. And after my petition, the Supreme Court passed a direction to the government. There were absolutely no guidelines (on surrogacy) and poor women were being exploited. What is your personal opinion about surrogacy? My opinion is that if a couple do not have child, then through some friend or relation have a child through surrogacy. A surrogate mother must know what is going to happen to her body. Right now poor, illiterate women are going in for surrogacy to make money. A contract is signed between the surrogate mother and the couple who want to have children, which states that the surrogate mother will not be able to see the child after she delivers the baby. This is quite unusual for a mother who bears the child for nine months. You are against surrogacy because it was being done for money and had become commercial. Absolutely true. I am against it because women who are becoming surrogate mothers are completely ignorant about the procedure. This is exploitation of women because they are ignorant. Did you do any research as to what happens to surrogate mothers after five to six years of delivering the baby? What happens to them emotionally and physically when they give up the child they deliver? I have done research on this subject and also studied material from the West. I found that surrogacy is taking place in India because we are a poor country and women are being exploited. 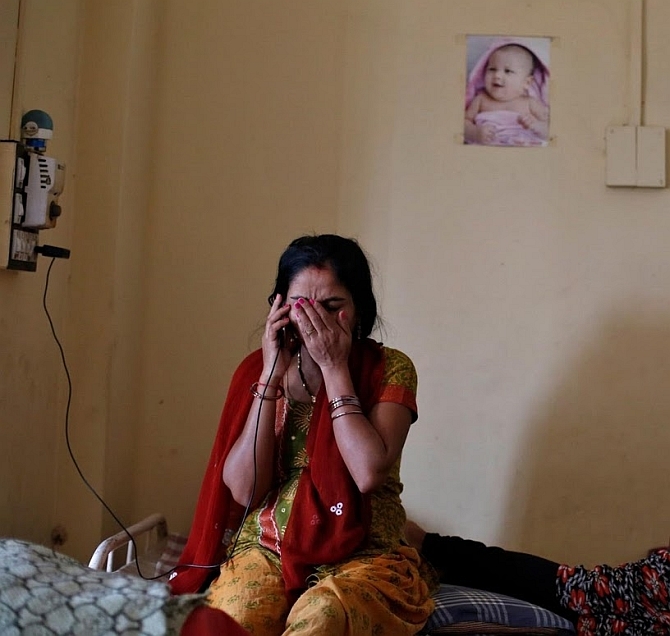 When a woman goes for surrogacy for money, the whole procedure is wrong. There is another example. A couple came from abroad and got their baby after the mother delivered the child. Unfortunately the mother died during delivery. But the couple refused to pay any compensation because they said they had a contract only with the dead mother. The woman became a surrogate mother to support her own children financially and safeguard their future. This incident really made me angry. These poor surrogate mothers do not understand the value of life. They only understand the value of money. What happens when an unmarried man or woman wants to have a baby or a woman who is divorced wants to have a baby? At this moment we do not have a law. Therefore I cannot comment on this issue. I took up this case to stop the exploitation of women. I have not taken up the case of any woman who is unmarried or a divorcee. I have read about a woman who has produced more than five children due to surrogacy. On one hand our government says we should not have more than two children and on the other hand through surrogacy these poor women are producing five children. What will happen to her body? And suppose the surrogate mother dies, what will be the future of her own children? Countries like Germany and Great Britain have banned surrogacy. They banned it because they know surrogacy is the exploitation of a woman’s body. Therefore these foreigners were coming to India.